* A welcome pack, including membership card, stockist list and service dealer list. * The Collector - a bi-monthly enthusiasts magazine, and the Collector Plus twice a year. All of which is a pretty good deal. 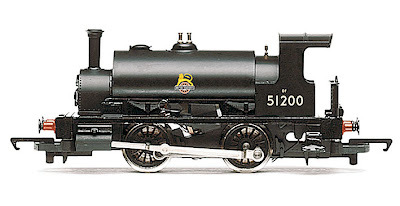 The free loco is a 0-4-0 saddle tank, while there is also a good discount offered on a Limited Edition 4-4-0 Class T9 LSWR locomotive, an express passenger design by Dugald Drummond, introduced in 1899. Sixty-six of them were built over a three-year period, and Hornby's video shows the attractive lines of the T9 in closeup. The 00 gauge model looks pretty good, especially if you look at the care taken with the detail in the open cab. 1 Saddle tank 0-4-0, supplied with membership. 2 T9 4-4-0, available at discount to members. Visit the Hornby Club here. Other Hornby rail equipment is available here.